If You or a Loved One Has Suffered Injuries From Massachusetts Lead Paint Poisoning, Call Our Team of Boston, MA Lead Poisoning Lawyer Experts Today at 617-787-3700 or Email Our Massachusetts Lead Paint Personal Injury Attorney Specialists at info@gilhoylaw.com. Massachusetts lead poisoning is a medical condition that occurs when there is a high level of heavy metal lead in a person’s body. The presence of a high level of lead in the body can affect various organs and body processes, such as the heart, intestines, kidneys and reproductive system. In addition, lead can affect the development of the nervous system, which can be extremely harmful to Massachusetts children. Symptoms of Massachusetts lead poisoning can include abdominal pain, headaches, seizures, coma and even death. Our Boston, MA Lead Poisoning Lawyer Specialists Have Been Representing Massachusetts Lead Poisoning Victims For More Than Two Decades. 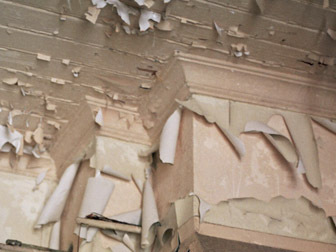 Let Our Massachusetts Lead Paint Personal Injury Attorney Experts Help You! According to the Center for Disease Control and Prevention, about 250,000 children in the United States, ranging from 1-5 years old, have a level of lead in their blood high enough to constitute lead poisoning. Massachusetts low-income families living in older Massachusetts residential buildings are at particular risk for Massachusetts lead poisoning because of the greater likelihood of Massachusetts lead paint being present. How Can I Get Massachusetts Lead Poisoning? Massachusetts residents can be exposed to lead in numerous ways. It is possible to be exposed to lead through Massachusetts soil or Massachusetts water. Additionally, if you work or live near a Massachusetts factory that produces lead-containing products, such as smelters, you can be exposed to lead dust. 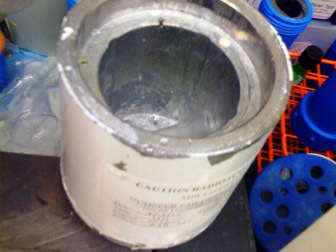 Lead dust may be carried home on the clothing of a Massachusetts factory worker and subsequently cause Massachusetts lead exposure and poisoning to his or her family. Most commonly, Massachusetts lead poisoning occurs from the ingestion or inhalation of lead dust or fumes proceeding from lead paint and other Massachusetts lead containing products. What are the Symptoms of Massachusetts Lead Poisoning? Symptoms of Massachusetts lead poisoning are different for adults and children. How Can I Prevent Massachusetts Lead Poisoning? Encourage children to wash their hands more frequently. 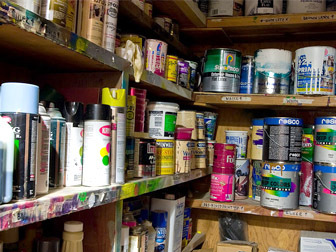 Decrease the presence of Massachusetts lead products in the household, including old cosmetics, jewelry, batteries, antique toys and lead paint. Wash bottles, pacifiers and toys often. Clean floors and window sills to protect children from lead dust or peeling lead paint. Use lead testing kits to identify if there is lead in the household. Utilize screening programs that target high-risk individuals. What Should I Do If I Suspect My Child or Another Loved One is Suffering From Massachusetts Lead Poisoning? You can purchase a home-test kit to test for the existence of lead in your Massachusetts household. Most importantly, if you or a loved one is experiencing any Massachusetts lead poisoning symptoms, you should seek professional medical treatment right away. Massachusetts lead poisoning is treatable, but long-term health problems can occur the longer it is left untreated. You also should keep any evidence relating to the Massachusetts lead poisoning exposure, such as paint chips, contaminated clothing, or a home-test kit that is positive for Massachusetts lead contamination. This evidence can be helpful in proving exposure in the later stages of your Massachusetts case. If you or a loved one are the victim of Massachusetts lead poisoning, contact our expert team of Massachusetts lead poisoning attorneys today for a free consultation. 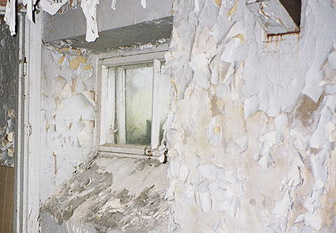 The Massachusetts lead exposure injury lawyers at the Law Offices of Gilbert R. Hoy, Jr. and Affiliates are here to help you seek redress for your Massachusetts lead paint injuries. Call our Boston, MA lead paint poisoning injury lawyers or Boston, MA lead exposure wrongful death lawyers today at 617-787-3700 or email us at info@gilhoylaw.com. 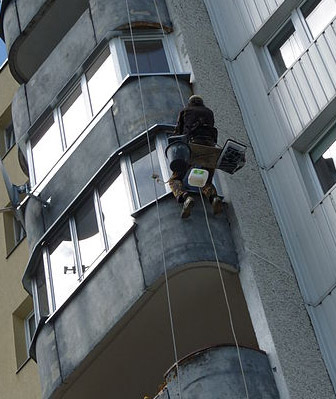 Our lead poisoning exposure law firm can help. The expert Massachusetts lead poisoning attorneys at our Boston, MA law firm have over 25 years of experience in handling, settling and litigating complicated lead poisoning claims for our Massachusetts lead poisoning clients. Despite the fact that lead-based paint has been banned as a consumer product in the United States since 1978, lead paint and its toxic effects continue to adversely affect Massachusetts men, women and children every day. Our highly skilled Massachusetts lead poisoning attorneys have significant experience in investigating Massachusetts lead poisoning claims and gathering all of the relevant evidence on our clients' behalf. If you or a loved one has been injured as the result of exposure to lead paint, it is crucial that all of the injured party’s attention be focused on recovering from the sustained injuries. Our Boston lawyers believe that it is one of our primary responsibilities to ensure that our Massachusetts lead poisoning clients are focused entirely on their recovery, while we are entrusted with the responsibility to fight tirelessly for maximum monetary compensation on their behalf. There are a number of types of damages that a Massachusetts lead poisoning victim is entitled to recover. Typically, a Massachusetts lead poisoning victim is entitled to receive lost wages and medical expense reimbursement for all past, present and future injuries suffered as the result of exposure to the Massachusetts lead paint. In addition, the victim may be allowed to recover money damages for emotional, non-economic injuries, such as pain and suffering and loss of consortium. These money damages can be substantial. In order to recover full and fair compensation for our Massachusetts lead poisoning clients, it is necessary that our clients' injuries are fully and accurately evaluated. Our Massachusetts lead poisoning attorneys confer with numerous medical experts and other professionals to ensure that a complete and accurate assessment of our clients' injuries is undertaken. We are not satisfied with the outcome of a client’s case unless our client feels that he or she has received the full amount of compensation that is available under the circumstances. The Massachusetts lead poisoning attorneys at our Boston, MA law firm are nationally recognized experts in their field. Our Massachusetts personal injury attorneys have been named in The Best Lawyers in America. 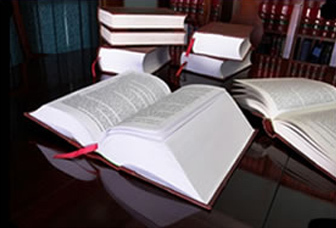 Additionally, the Boston Globe has selected a number of our lawyers as Boston’s Best Lawyers, and Boston Magazine has acknowledged many of our expert attorneys as Massachusetts Super Lawyers and New England Super Lawyers. Aside from providing outstanding legal representation, our Massachusetts lead poisoning attorneys are also committed to providing excellent client service at all times. We feel that client inquiries and phone calls should be promptly returned and that clients should be kept fully informed about the status of their cases at all times. We therefore copy our clients on all correspondence. Our Massachusetts lead poisoning attorneys never make a decision or act on a client’s behalf without the client’s fully informed consent. It is important to note that if you or a loved one has been injured in a Massachusetts lead poisoning accident, there is a limited amount of time that you may have to make a claim. If you fail to settle your claim or file a lawsuit within the necessary amount of time as defined by the statute of limitations, you will forever lose your rights to bring a claim and recover money damages. It is, therefore, critical that you obtain the assistance of one of our highly skilled and reputable Massachusetts lead poisoning attorneys at the outset. If you or a loved one has been injured in a Massachusetts lead poisoning injury accident, please do not hesitate to contact our highly skilled and expert Boston lead poisoning attorneys now at 617-787-3700 or email us at info@gilhoylaw.com. Call today! Our Massachusetts lead poisoning personal injury lawyers are proud to represent Massachusetts lead poisoning personal injury clients from throughout the Commonwealth. The Boston, MA lead paint poisoning Law Offices of Gilbert R. Hoy, Jr. and Affiliates is a team of expert Boston, MA lawyers from some of the best law offices in Massachusetts, including expert Massachusetts lead poisoning personal injury lawyers and Massachusetts lead exposure attorneys, who have been personally selected by Attorney Hoy because of their skill, experience and expertise. Many of the Boston, MA lead poisoning lawyers who are available to our Massachusetts clients through referral agreements have been repeatedly selected and recognized as among the very best personal injury lawyers in Massachusetts and, indeed, the country. With an experienced group of some of the very best Massachusetts lead poisoning lawyers that the Commonwealth offers, our Boston lead poisoning law office is confident that our handling of your lead poisoning claim will go beyond your expectations. Our over-riding goal is to provide you or your loved one with top of the line legal service and assistance with respect to your Massachusetts lead poisoning accident, while earning your confidence, loyalty, trust and respect. Our Boston, MA lead poisoning law office would be honored and pleased to represent you or your loved one, and we would be delighted to provide you with an initial free and confidential consultation with respect to your Massachusetts lead poisoning claim. In the event that you or a loved one has suffered personal injury damages as the result of a Massachusetts lead poisoning accident, the best thing that you can do is to hire one of our highly skilled Boston, MA lead poisoning lawyer experts right away. If you select one of the knowledgeable and expert Massachusetts lead paint personal injury attorney specialists at the Boston Law Offices of Gilbert R. Hoy, Jr. and Affiliates to represent you or your loved one, you can be assured that we will skillfully handle all of your professional needs. The Massachusetts lead poisoning lawyers at our Boston, MA law firm will use all of their legal expertise to most effectively handle your unique situation. Our Boston lead poisoning law firm is distinguishable from other Massachusetts law firms because our attorneys are compassionate, caring and will fight tirelessly on your behalf. Our Boston, MA lead poisoning lawyer professionals are some of the highest quality Massachusetts lawyers around. The Boston lead poisoning lawyers and Boston, MA wrongful death lawyer advocates at our Massachusetts law firm have represented many Massachusetts lead poisoning victims and the families of Massachusetts wrongful death victims. If you or a loved one has suffered injuries as the result of a Massachusetts lead poisoning accident, please contact our highly experienced Boston, MA lead poisoning lawyer professionals or Massachusetts wrongful death attorney practitioners as soon as possible to help you get full and fair compensation for your Massachusetts accident injuries. 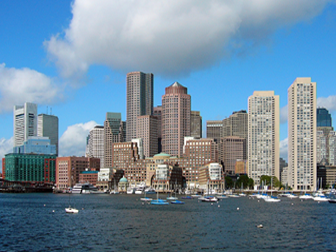 Our Boston, MA Lead Poisoning Lawyer Specialists Are Available to Assist You 24/7. Call Our Massachusetts Lead Paint Personal Injury Attorney Experts Today at 617-787-3700!